xWinterludex: And then there's more! Lordy, lordy, where does the time go? In the past couple of days I made two custom cards for regular exchanges, and yesterday I got a request for a private swap. Then again the weather has been really bad lately (the snow is everywhere...) better off staying inside, making and sending postcards instead of geocaching...wow I can't believe I said that. For the record, I know zilch about "Sherlock" so I have no idea if this would ever happen between these two, but a guy can dream can't he? Or at least, try to please his recipient. 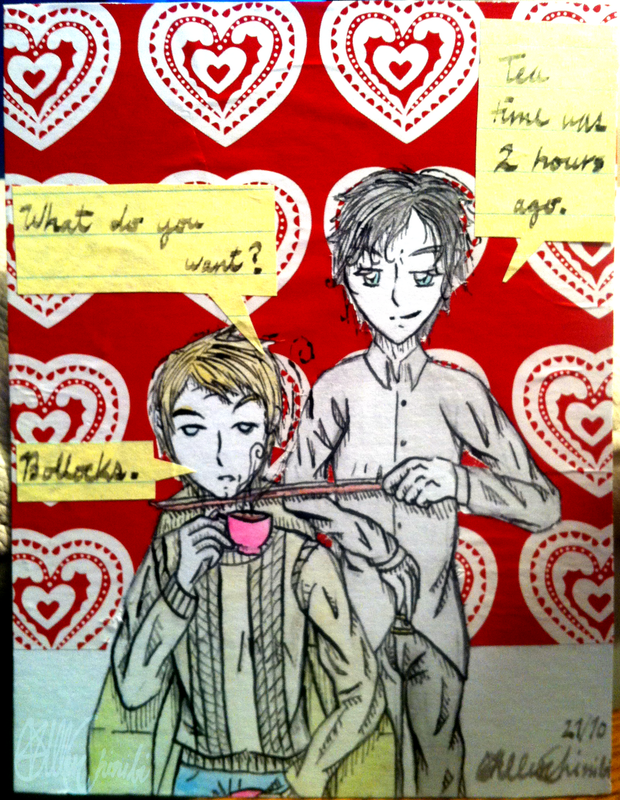 She's into certain fandoms and the johnlock one was the only one I really enjoyed on her tumblr so yeah, long story short, here is me proving I talk too much and can't draw realism. Ja. 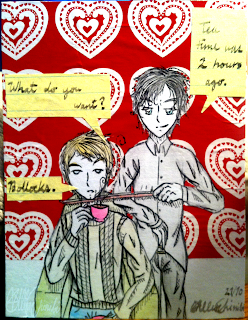 And the one I just finished say, oh half an hour ago? 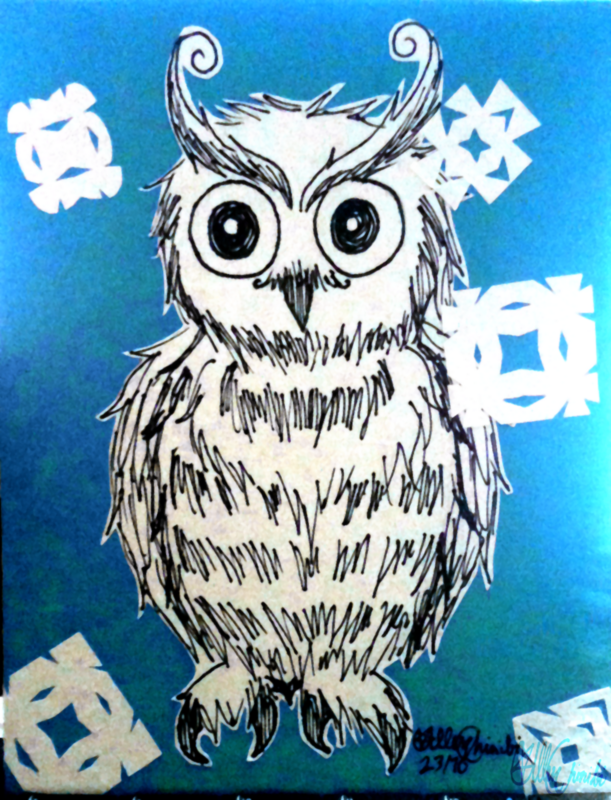 I was requested to make a card for a direct swap, so someone might potentially like my card! 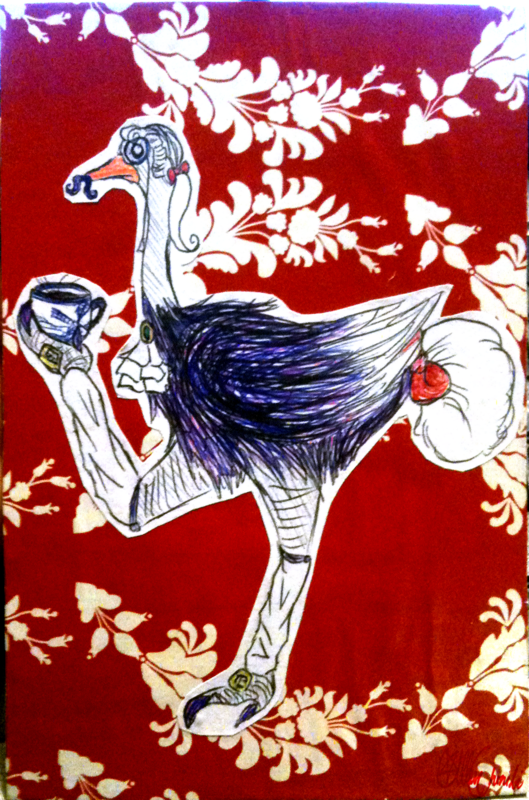 Either way, Fancy McFancington Ostrich is his name, I think...I don't know why he's so posh, it just happened. It's tea time somewhere in the world (and 2:35 am here.) 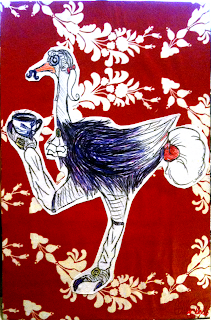 So many firsts, first time drawing an ostrich.